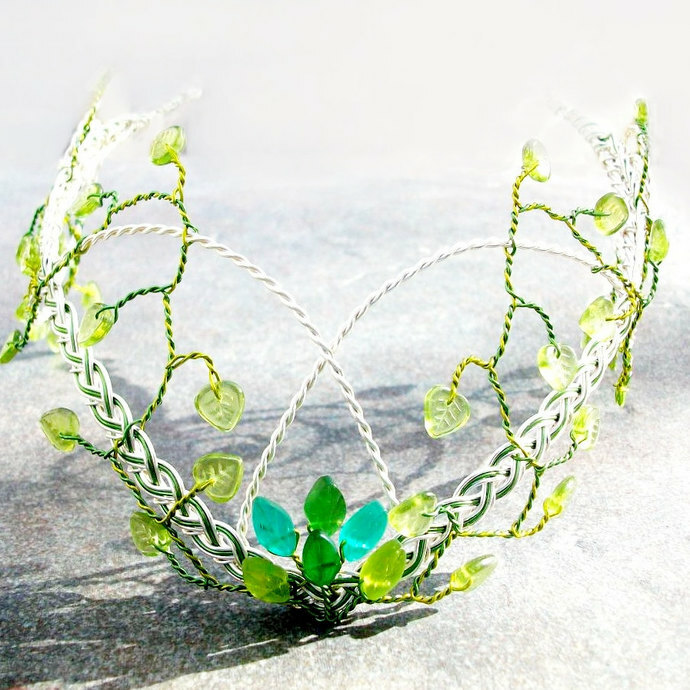 A crown for an elven princess or a woodland bride. 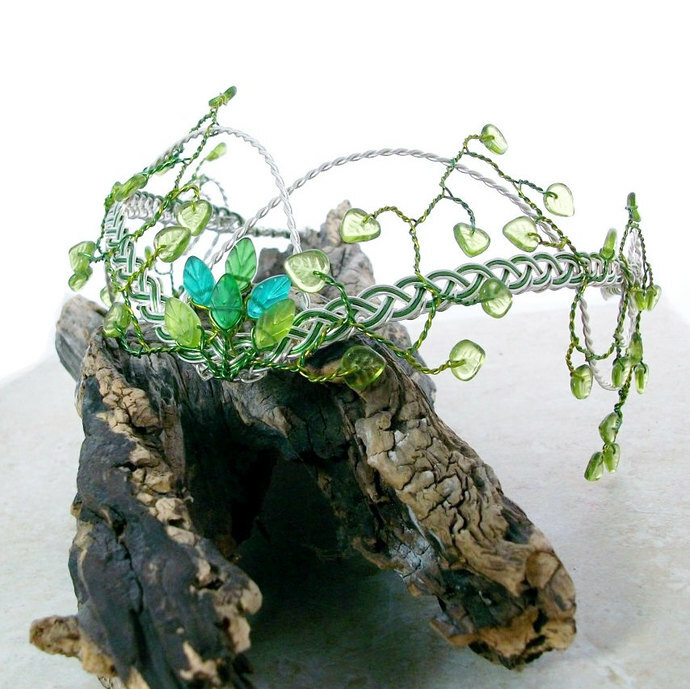 This tiara / circlet is in beautiful Springtime tones of peridot and silver. 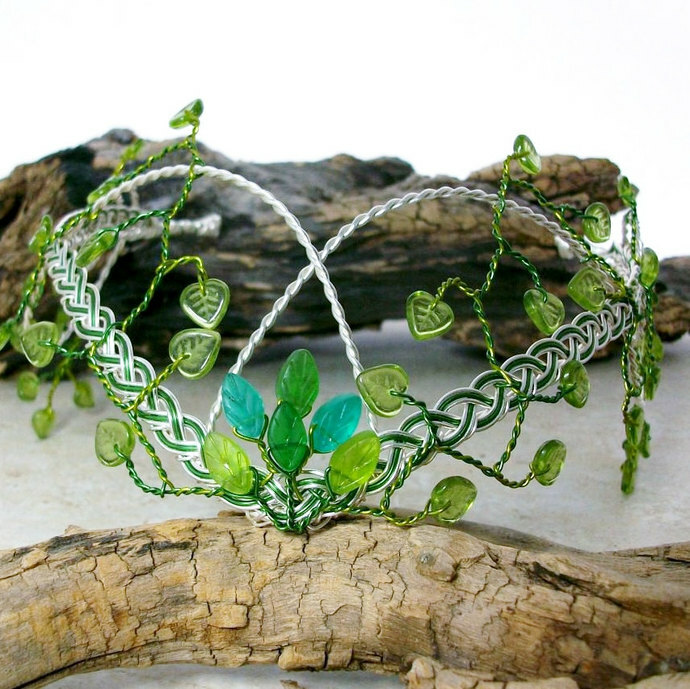 A simple woven Celtic band is the basis of the crown. 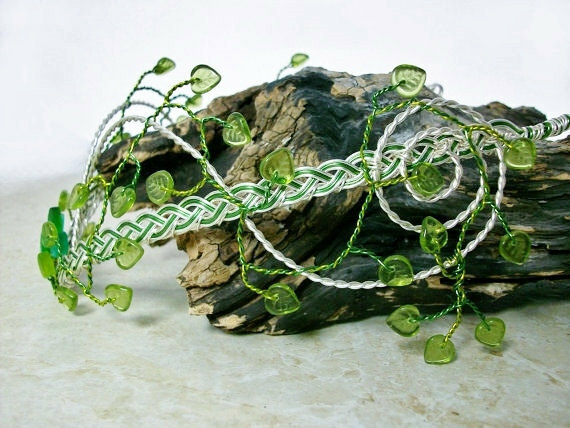 A spun spiral weaves its magic from front to back. A simple yet bold leafy front stands proud. 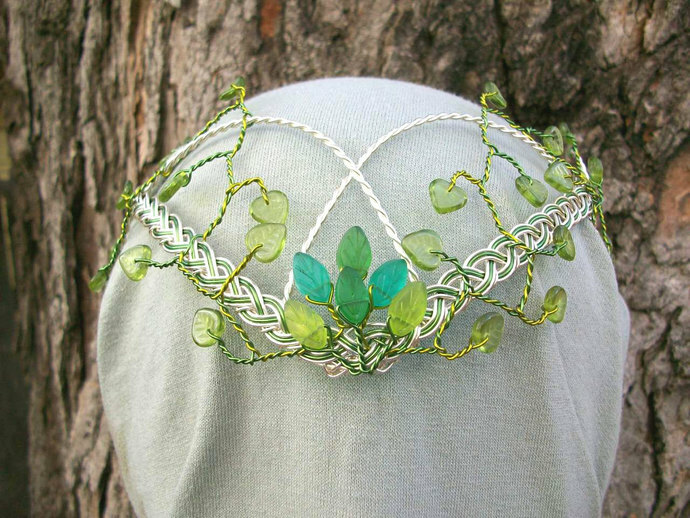 Then a wild Ivy growth with peridot colored leaves twines its way delicately through the design.